Looking for something good to watch? Here’s what’s coming up next year, from strange dramas to unlikely horror to the next big apocalypse. Check out this week’s best movie trailers for 2015! BACKSTREET’S BACK ALRIGHT! The Backstreet Boys are still around, even if they’re far from the stars that they used to be. Filmed over two years, the documentary Show ‘Em What You’re Made Of tracks their rise and fall, the alleged theft of millions of dollars from them by their manager, and their recent attempts at a comeback. It’ll be in theaters and on-demand January 30th. So mark your calendars, fellas! This is how Disney reworks one of the most famous fairy tales into a live-action film. The results are a bit different than the Cinderella you might remember but it looks like the film is trying to do some interesting things with its use of color in an attempt to build out a fairy-tale world. It’ll be in theaters March 13th. So, for the young ones or the young-at-heart, this Disney Princess might leave her glass slippers on March. 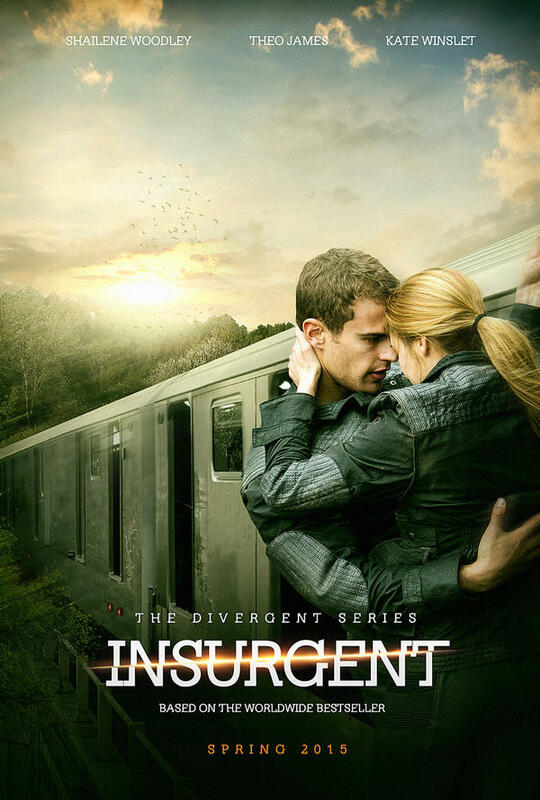 With The Hunger Games leaving the theaters, it’s time to start looking towards the other big young-adult dystopia: Divergent. The series is certainly the less popular and acclaimed of the two, but it’ll be taking its second shot next year. You can see the first full trailer forInsurgent to get a sense of how it turned out. It’s scheduled for a release on March 20th. So, Veronica Roth’s fans, watch out for the film-adaptation of her second book on MARCH! I’m not really sure why there are so many shootouts in a hacker movie, but I trust that director Michael Mann, who also did Heat, has good reason for it. Blackhat takes the fear over cyberattacks that’s beginning to grow in governments worldwide to its obvious climax: a major attack. Chris Hemsworth stars. It’ll be out on January 16th. With Chris Hemsworth in the film, this movie can be a big hit! ’71 has been getting some great reviews everywhere it’s screened so far. The film takes place over the course of a single night and follows a soldier in Northern Ireland who’s left behind enemy lines as civil war nears. The trailer makes it look like a pretty standard war film at first, but by the end it’s clear that ’71 tries to place its characters in far more nuanced situations than a typical film. It’ll be out in the US on February 27th. It Follows has been getting a lot of buzz as one of the smarter and scarier recent horror films. This teaser shows why it’s a bit more than all-out horror: it’s also about being a teenager and struggles with sexuality. It’ll be out in the UK on February 27th and in the US one month later. Clint Eastwood’s next film appears to be a tense and difficult look at one man’s time at war. 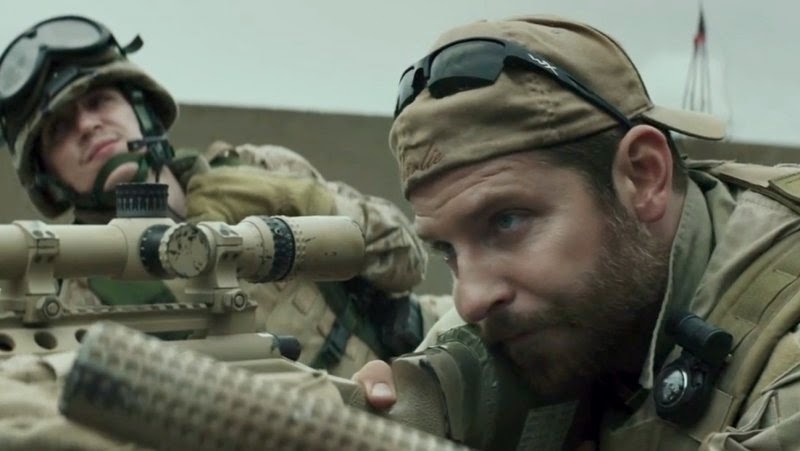 The film dramatizes the story of Chris Kyle, a sniper who is said to be the most lethal is US military history. It’s based on Kyle’s autobiography of the same name. The film will be out on December. We can’t wait to see Bradley in the field. First of all, let’s just reflect on the fact that it’s 2014 and The Interview was just cancelled and we’re now about to watch a trailer where James Franco and Jonah Hill are playing serious roles opposite one another. True Story, which is, in fact, based on a true story, is a tense adaptation of the memoir of journalist Michael Finkel, who is brought into the life of an alleged murderer who wants his supposedly true story told to the world. It’ll be out April 10th. Hmmm. This movie trailer is clearly intriguing. This movie looks gorgeous and brilliantly composed in just about every way. The Duke of Burgundy‘s offbeat and beautiful look at kink and sexuality seems to have wowed every critic that’s seen it, and this trailer makes it easy to see why. It’ll be in theaters and on-demand beginning January 23rd. And the last but not the least is Knight of Cups it looks like Christian Bale and Terrence Malick make one heck of a team. Bale stars in Malick’s latest film, a strange and wild tale of celebrity and excess. Cate Blanchett and Natalie Portman also star. If you’re a Malick fan, this is obviously a must-watch. And if you just like the actors involved, check it out anyway for one heck of a ride. The film will probably come out sometime next year. Another Batman sequel for 2015? You Better Watch Out, You Better Not Cry…Santa’s Having Pillow Fights!